Pool is a verb, and other strange assertions. Category: minicomics. 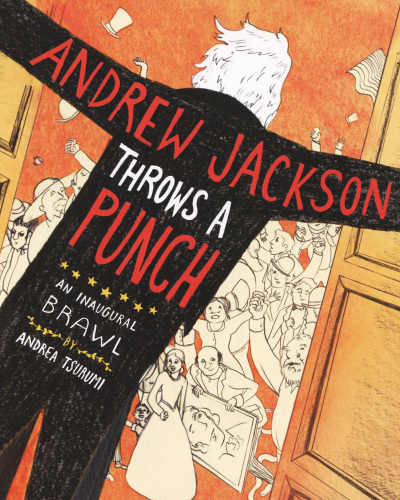 Genre: Humor. Concerning: summer and swimming. 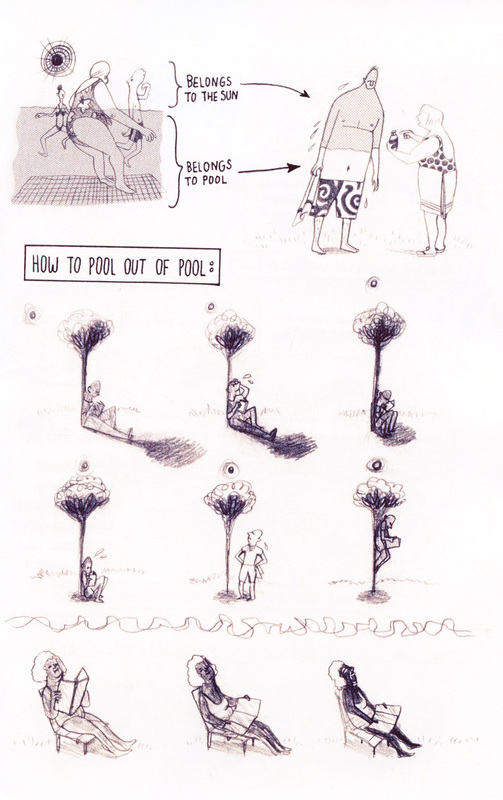 Evoking the spirit of a themed sketchbook, How To Pool is an anthology of strange little comics by Andrea Tsurumi. 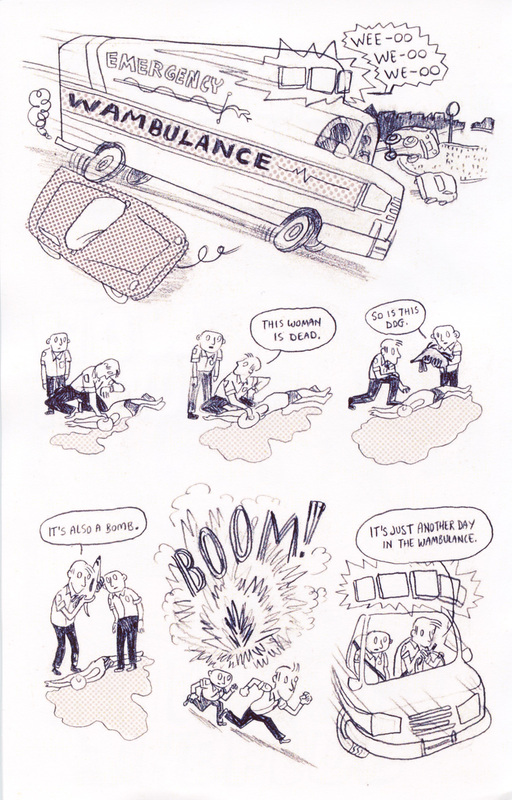 The eponymous comic, is a bizarre users manual for the public pool. 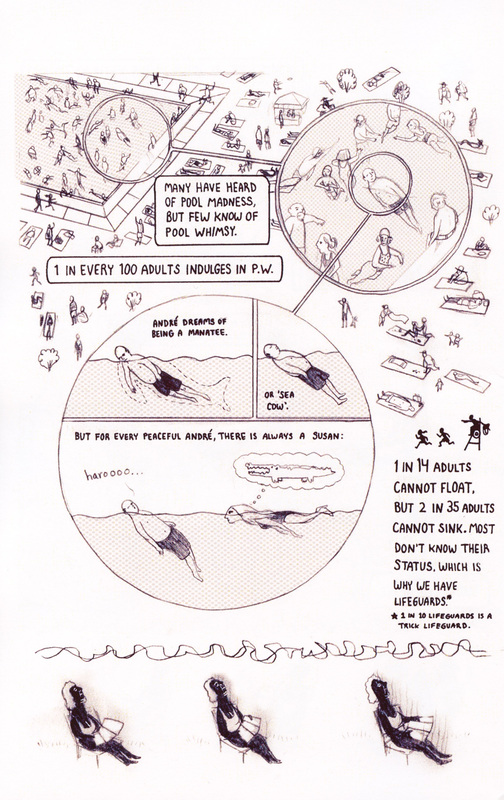 The language of the comic is immediately given a unique voice, as the word “pool” is used as a verb rather than a noun. 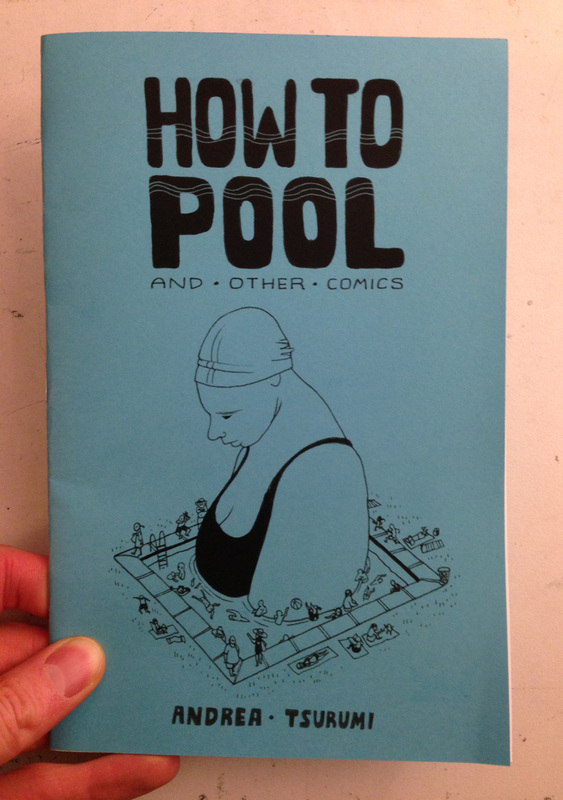 Instructions on pooling etiquette and a great deal of jargon make up the bulk of the comic as vignette after vignette collide into each other. 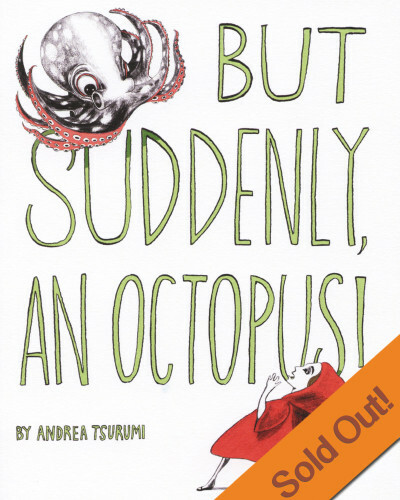 The entire minicomic has an unsettling logic, that makes it feel like it is translated from a different language, or imported from some parallel dimension. If you let yourself go, and become immersed in the world of pool, you will have a lot of fun reading How To Pool. Black & white throughout, blue cover, saddle stapled.